Bring Some Summer To The Table! 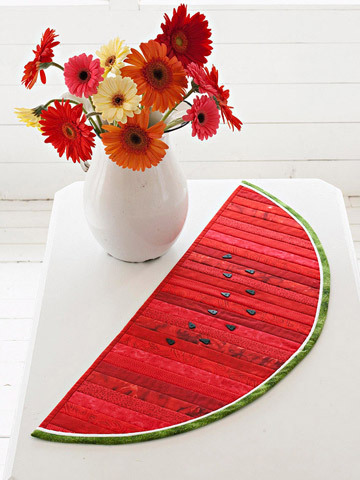 Stitch up a mouthwatering watermelon table runner to decorate your summer table! This free project from Shelley Robson includes all of the instructions you need to make your own table runner courtesy of AllPeopleQuilt.com. Click here to get the tutorial. Previous Previous post: Sensational Flowers!